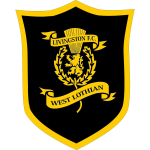 These days, Cameron Blues' team Livingston FC comes first place in group F of League Cup (United Kingdom) plus ninth place in Premiership (United Kingdom). Cameron Blues is five years younger than than his team's average age, as he was born on 13.04.1998. So far in the 2018/2019 season, he did not compete in any fixtures. Cameron Blues is a male midfielder from United Kingdom, who has been playing for Livingston FC in United Kingdom since July 1, 2018. His jersey displays the number 24. Throughout his time as professional football player, he was not once sanctioned with a card. With each day at Livingston FC, Cameron Blues is extending his personal record stay with a club which counts two years and 5 months for the time being. The briefest time his spent on a team counts merely four months in his present club. 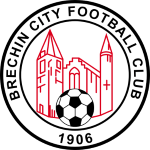 Prior to joining Livingston FC, he only played for semi-professional local teams. Throughout his professional career, Cameron Blues participated in 1 games, the last appearance being 521 days ago. His squad won 100% (100% home) in League Cup and lost 40% (40% home) in Premiership. The highest win streak of the last 4 matches happened in League Cup with a count of 4. 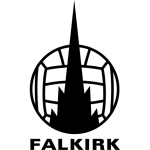 He completes Livingston FC's intermediate department, alongside players like Craig Sibbald, Chris Erskine, Steven Lawless, Gregg Wylde, Keaghan Jacobs, Shaun Byrne, Scott Pittman and Scott Robinson.